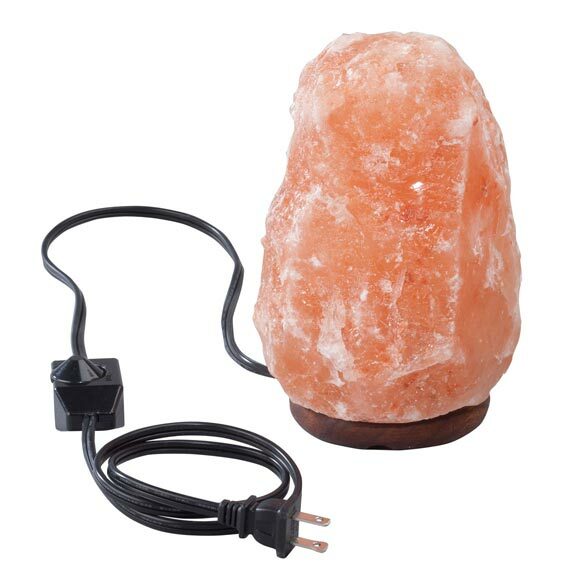 Glowing Himalayan salt light with dimmer lends style and ambience to any room while helping to create a healthy environment. Generously sized Himalayan salt rock lamp on a beautiful wooden 4”dia. base adds a calming amber glow controlled by a dimmable on/off switch, allowing you to choose the perfect level of light in any room. As it emits negative ions, it helps naturally purify the air by removing positively charged dust particles and may help control airborne pollen, dust mites, smoke, mold spores and pet dander. Helps purify the air while emitting a soft amber glow. Helps increase serotonin to boost mood and energy. Ideal for creating tranquility while lighting any dark area. Individually hand crafted of real Himalayan salt rock. UL listed lamp with 54”L cord uses an E12 15W bulb (included). Approx 7"H, 6 lbs. (due to the nature of this product, rock size will vary). 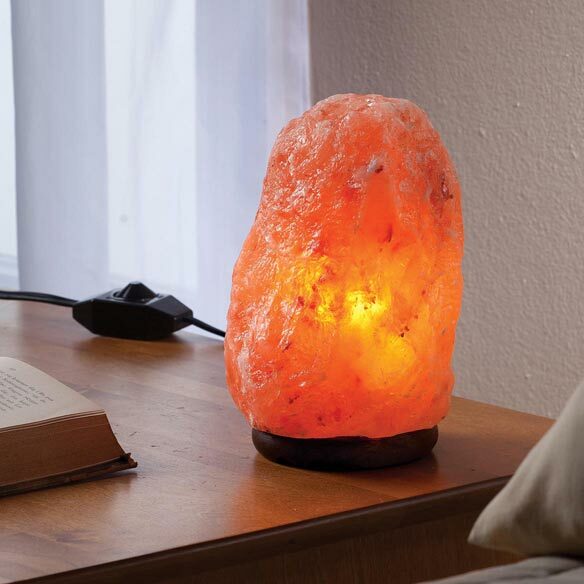 I just love this salt rock lamp! Love the dimmer switch option. Highly recommend this as a gift or for yourself. I will purchase these again. These lamps do like the description ays. I checked with some people who have them too. They are highly recommended. I bought these as a gift for my daughter; all I know is that they're pretty and priced just right. I would buy more if I needed them. These really do help purify the air in your home.Plus they make wonderful night lites. I love the way this lamp looks when lit up. I gave it as a Xmas gift, so I don't have it here now, but because I liked it so much, I bought the salt night light for myself later. I immediately turned on my Himalayan salt lamp when i received it. I slept better, and more relaxed. I use my lamp every night. My mother-in-law asked for it. Recommended by my massage therapist. She has one in her massage room at the chiropractic office that she works out of. 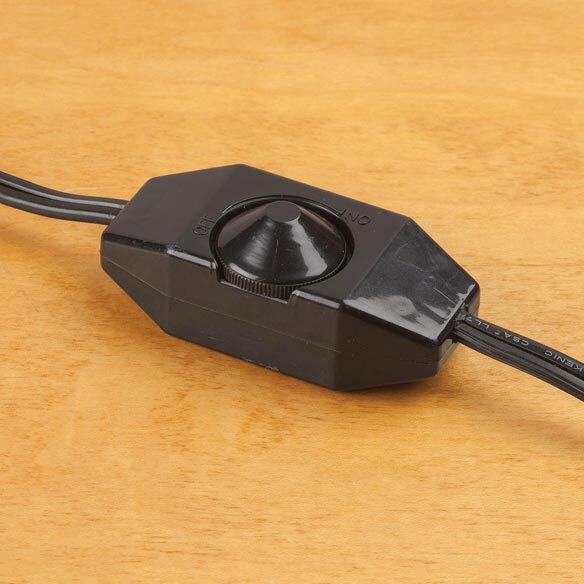 WANTED NIGHT LIGHT THAT HAD CORD SO IT WAS NOT BEHIND FURNITURE. Dad ordering for Christmas gifts. I have heard all good things about this item and want to try it along with a friend. Would like to see it it works as stated. I want to try this for my respiratory allergies. It sounds like something nice to have so I want to try it for myself. I have one salt light and wanted another. 80 yrs. young. Have had pneumonia several times. Willing to give this a try to stay healthy throught the winter. Great price! Just the size that I needed. Have used in the past and it works. Price was right.